Destiny 2. 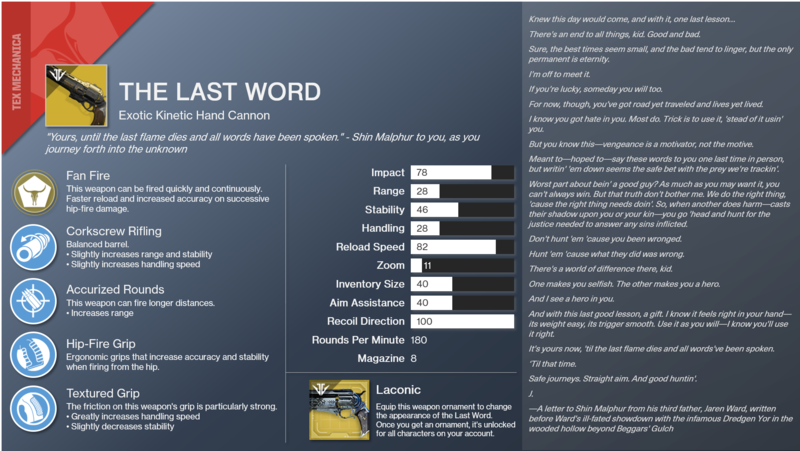 LAST WORD FULL QUEST! “NEW” Main Perk, Optional Grips, Stats, Ornament & More! 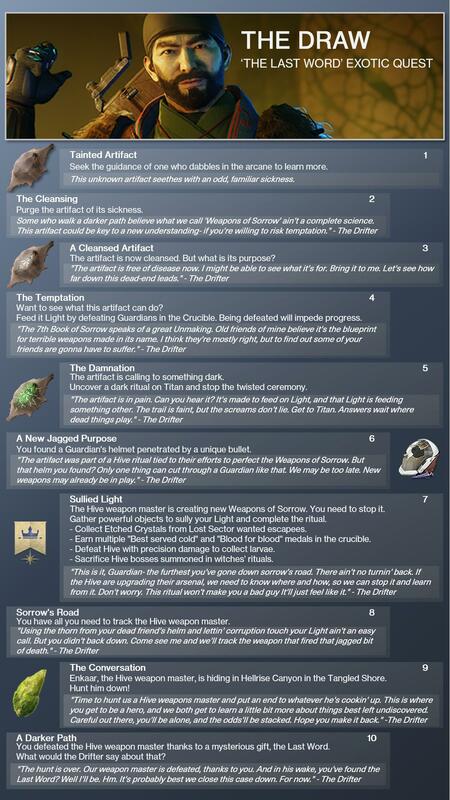 Spoilers by Mesa Sean on YouTube << Click link and subscribe for more Destiny videos!